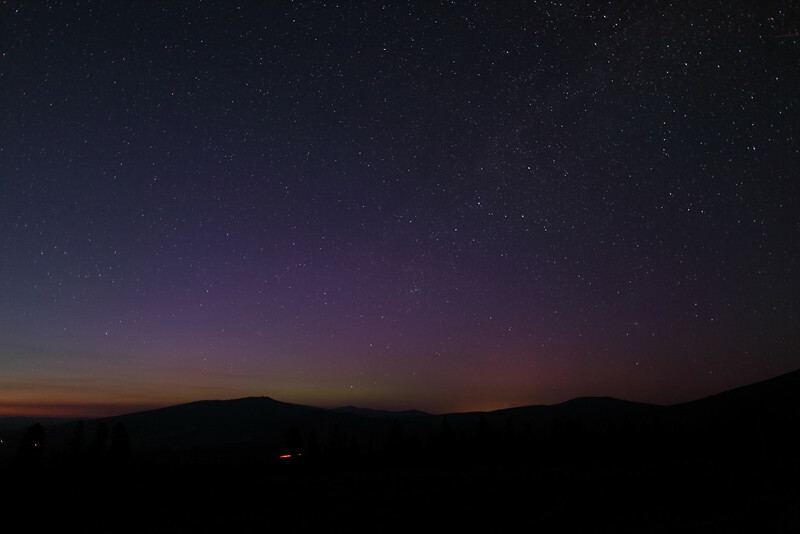 It was a spectacular night with colorful Northern Lights combined with dozens of shooting stars and a beautiful alignment of Jupiter, Venus, the Pleiades and crescent moon at dawn. 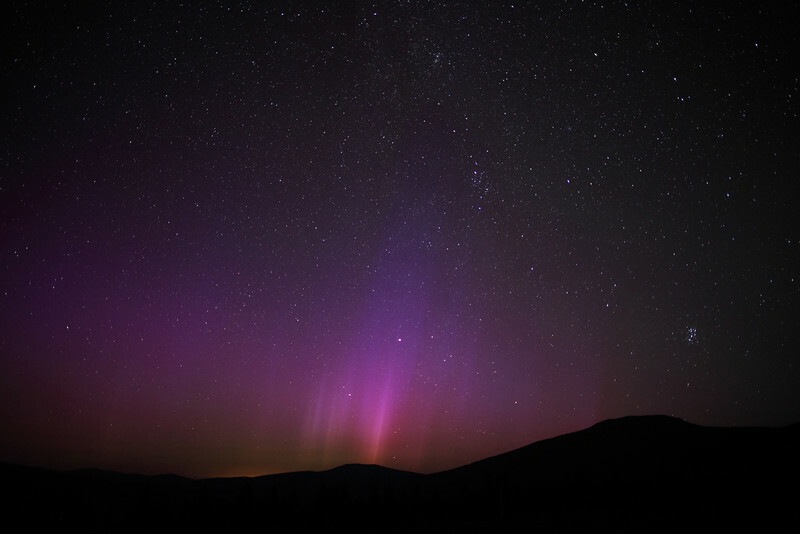 A 36-hour geomagnetic storm occurred on July 14-16 in response to a coronal mass ejection associated with the X1.4 solar flare of July 12 (maximum at 16:49 UTC). 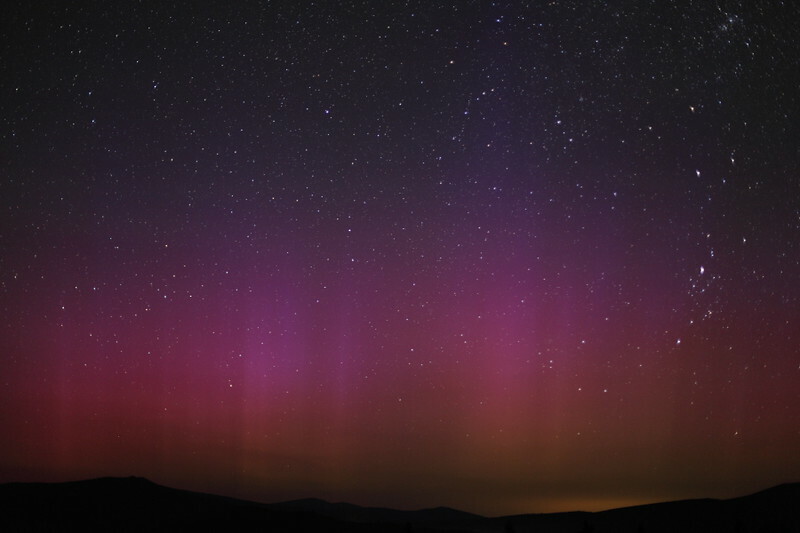 The visual feast began when colorful auroral displays became visible around 22:15 pm (PDT) on July 14 (05:15 UTC on July 15) during the initial severe storm period. 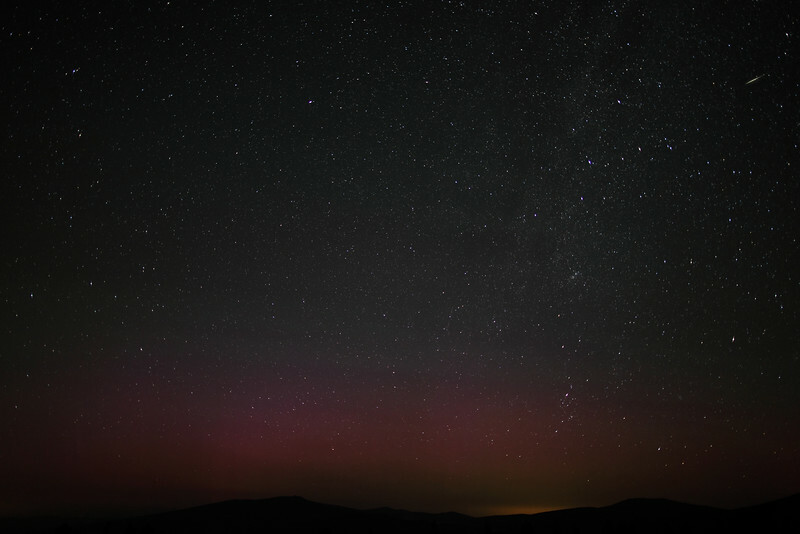 Throughout the night, a perfectly clear sky - revealing the Milky Way in much detail - enabled the observation and capture of delicate ray structures within the auroral curtains. One of the highlights of the night was the ISS and Soyuz diving into the aurora around 02:15 am (PDT). The Soyuz TMA-05M docked with the International Space Station at 04:51 UTC on July 17. All images and time lapse movies captured from the North slope of Mt Shasta in Northern California between 22:15 pm on July 14 and 04:15 am on July 15, 2012 . 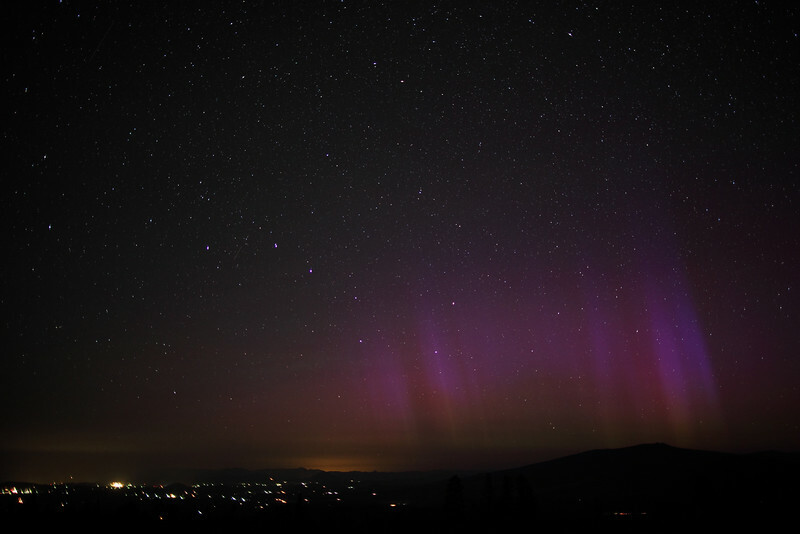 Image captured at 03:05 am (PDT) on July 15 during a major geomagnetic storm associated with the X1.4 solar flare of July 12. Astronomical twilight in rainbow colors: The first appearance of a remarkable 36-hour long geomagnetic storm in Northern California at 22:15 pm (PDT) on July 14, 2012 (05:15 UTC on July 15). 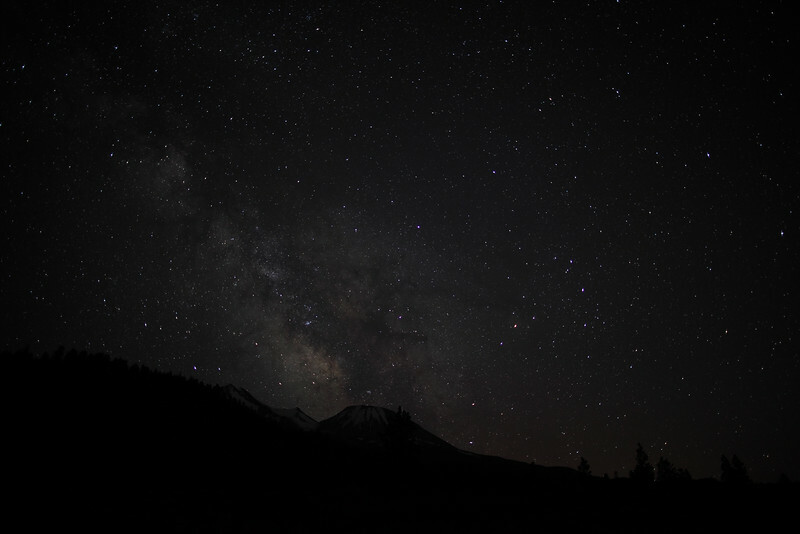 The center of our Milky Way Galaxy over Mt Shasta, California captured at 22:30 pm (PDT) on July 14, 2012. A small meteor (shooting star) captured at 00:19 am (PDT) on July 15 during a major geomagnetic storm associated with the X1.4 solar flare of July 12. The ISS and Soyuz are flying into the aurora during the remarkable 36-hour geomagnetic storm of July 14-16, 2012. The Soyuz TMA-05M rocket launched from the Baikonur cosmodrome in Kazakhstan at 02:40 UTC on July 15 and docked with the International Space Station at 04:51 UTC on July 17. 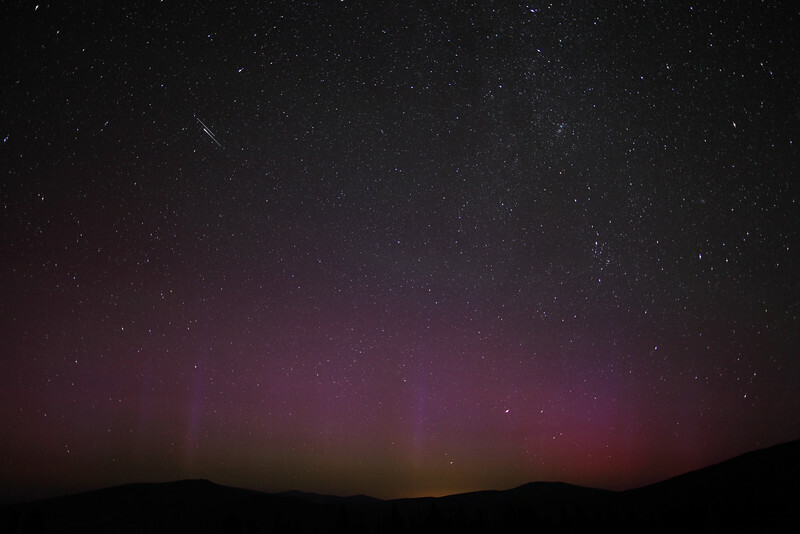 The double flyby was captured from the North slope of Mt Shasta in Northern California at 02:14 am PDT (09:14 UTC) on July 15, 2012. The ISS and Soyuz are flying into the aurora during the geomagnetic storm of July 14-16, 2012. 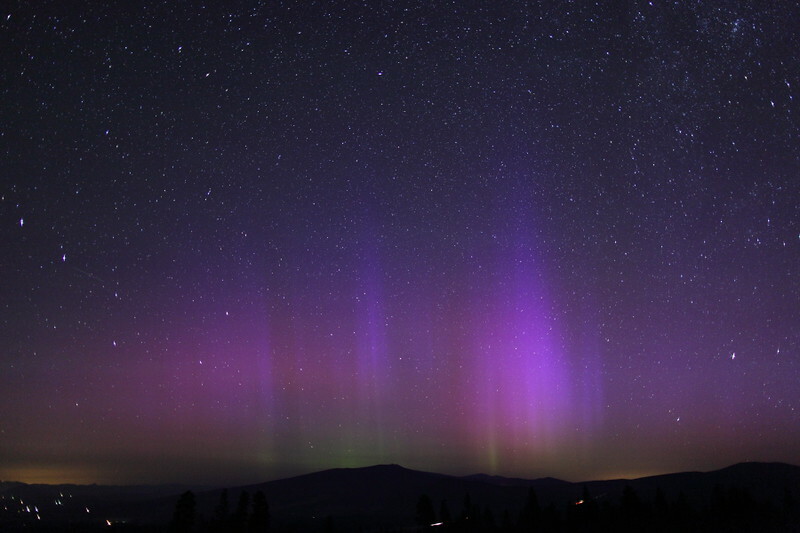 The double flyby was captured from the North slope of Mt Shasta in Northern California between 02:13 - 02:21 am (PDT) on July 15, 2012. 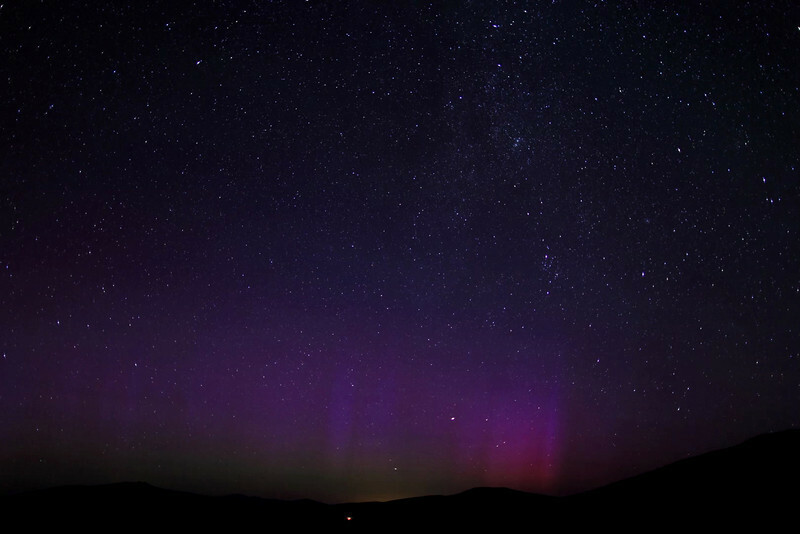 Rainbow colored aurora captured at 02:39 am (PDT) on July 15 during a severe geomagnetic storm period associated with the X1.4 solar flare of July 12. 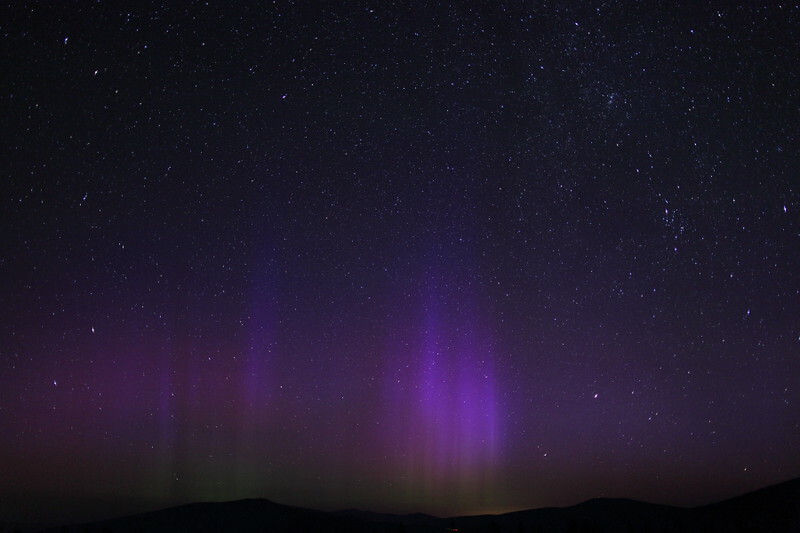 Image captured from Mt Shasta in Northern California at 03:06 am (PDT) on July 15 during a major geomagnetic storm associated with the X1.4 solar flare of July 12. Colorful aurora captured at 02:28 am (PDT) on July 15 during a major geomagnetic storm associated with the X1.4 solar flare of July 12. 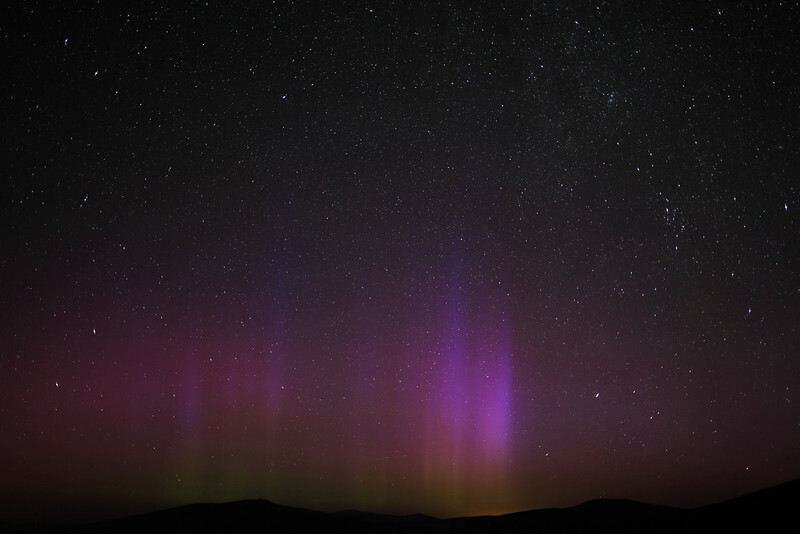 Aurora Time Lapse: Colorful Northern Lights and an alignment of Jupiter, Venus, the Pleiades, Aldebaran in Taurus and the Moon - all rising at dawn in Northern California. 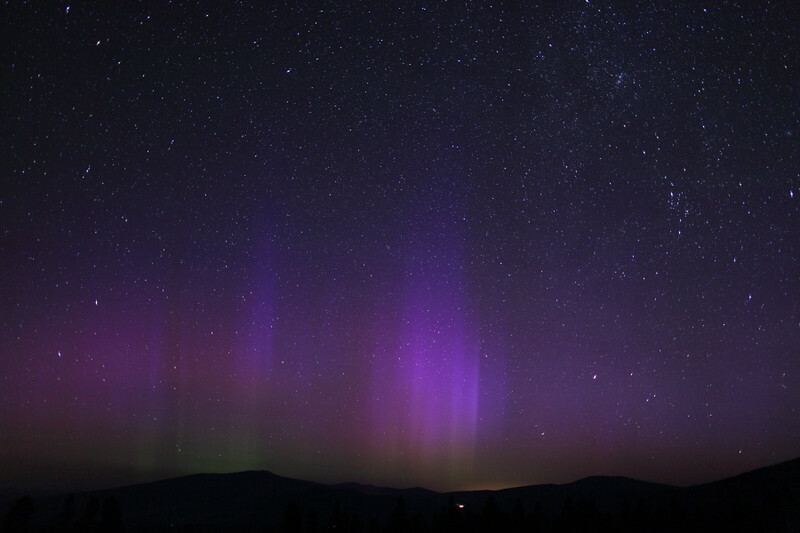 Images captured from the North slope of Mt Shasta between 03:05-04:14 am on July 15, 2012.